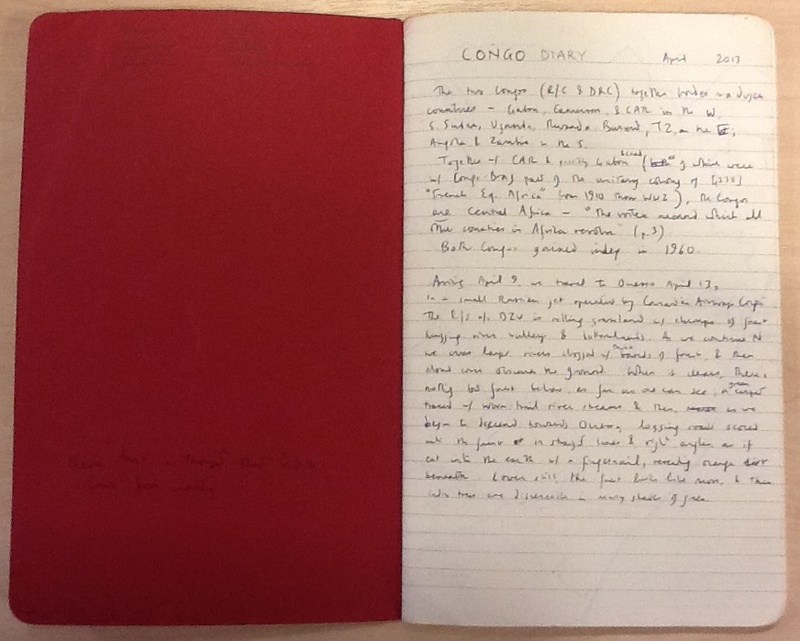 Last week I got back from two months in the Congo. The trip was in aid of the Hunter-Gatherer Resilience project at University College London, which I’m working on as a post-doc. Under the guidance of Andrea Migliano (the PI) and Jerome Lewis (a longtime researcher in central Africa), I traveled to the rainforest zone in the north of the country which is home to a large population of hunter-gatherers. Republic of Congo, aka Congo-Brazzaville. The area where we worked is between Ouesso and Impfondo, in the north. Our brief was to estimate rates of birth and death and physical growth in communities living by hunting and gathering. We also set out to investigate the genetic relatedness of these people to other groups. In practice, this meant measuring heights and weights, collecting saliva, and doing lots of genealogical interviews. The UCL research team comprised 3 PhD students in anthropology, one geneticist, and myself. Jerome was with us for the first days in the field, and 4 locals assisted with camping, cooking, and translation. 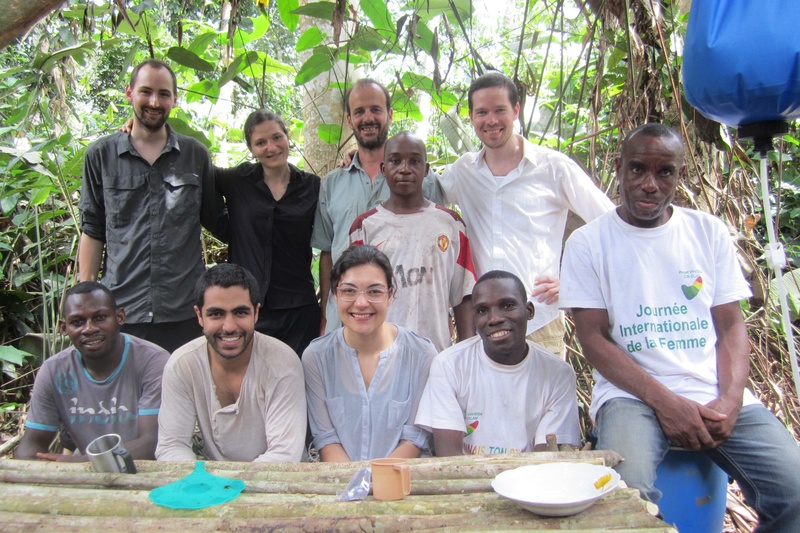 Left to right, seated: Independant Ghislain, Nik Chaudhary, Deniz Salali, Mekouno Paul, Ndambo. While I was in the forest I had very limited internet access. But I took a lot of old-fashioned field notes. As I type things up over the coming weeks I’ll be posting some of them here. This entry was posted in Congo and tagged hunter gatherers. Bookmark the permalink.